Yes, Group Buy means shared. All accounts are shared with the other people or multiple user. 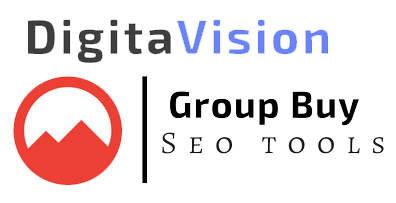 Do you provide login details to the SEO tools? How do I get access to the accounts? No, we not provide the login details of any of the tools. We provide Firefox portable browser with auto login details with lastpass. You just need to download Firefox portable and enter the lastpass details which we give to you once you purchase. How do I get help if I need any? What are your support details? No, there is no limitation in any account from our side.They have their Plans and limits stick to them.And all these limits are shared with all users. All account are shared Group Buy and mainly for light users. For normal users, these accounts work perfectly fine. Do you Guaranty All tools work All the time? No we dont guaranty that all tools will work all the time fluently.Since they are shared account,if users do something wrong then the account may get banned and will take a little time to resolve.Or every tools have some limits.Which is divided among all the users.You have to use keeping it in mind. No,Our Browser works only in Windows PC.But we provide Some tools for MAC.Ask us for them. No never, If you are reselling customer or you want to shared with any one, our seo tools or firefox portable please away from us.Our Portable browser catches your IP and if your browser used on 2nd IP then you’ll be banned immediately. Do you have a Guide or Video on how to open the Firefox Portable?